I begin to panic. As I stare into an open Styrofoam container of frozen fillets of lionfish wrapped in plastic and tucked in between blocks of dry ice, I wonder if the $120 I shelled out for this package will be worth it. Eight friends are coming over for dinner the next afternoon and here sit only three pounds of frozen fish. Torrents of doubt stream through my mind. 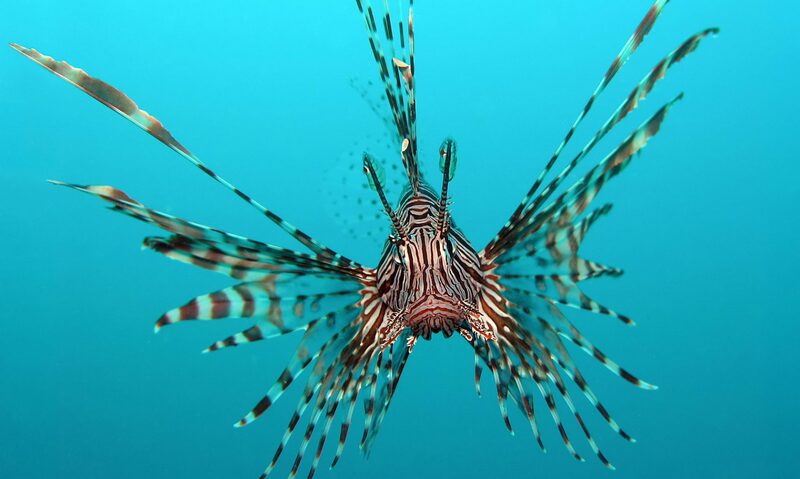 Are lionfish safe to eat? Am I really going to serve frozen fish? Do I even have enough? Will the beautiful crimson and ink-striped skin look the same after singed by the hot flames of a grill?